We are big fans of small towns and knew that New Bern, near the coast, was going to win us over. Even so, I’m pretty sure to say that we fell in love with Bear Town and can’t wait to go back, retire, and call it a day in our lives. First, you’ve gotta see what we’re talking about, right? Thanks to bears, history, great food, and more fun things to do in New Bern, you’ll see exactly what you can do if you’ve got a weekend in this wonderful coastal town. New Bern is accessible via US Highway 70, 17, and NC Highway 17. Many people will come from I-95 or I-40 to reach those highways from the cities. It’s about 3 hours by car from Raleigh, depending on traffic. There are a lot of quaint and historic Bed and Breakfasts in Downtown New Bern, not far from the water. We spent a wonderful evening in the Courtyard by Marriott, which is one of our favorite places to stay in North Carolina. That lovely hotel is right on the water and next to Union Point Park. There’s a Doubletree by Hilton on the other side of the CVB, near a huge dock where you’ll get a look at tons of boats. 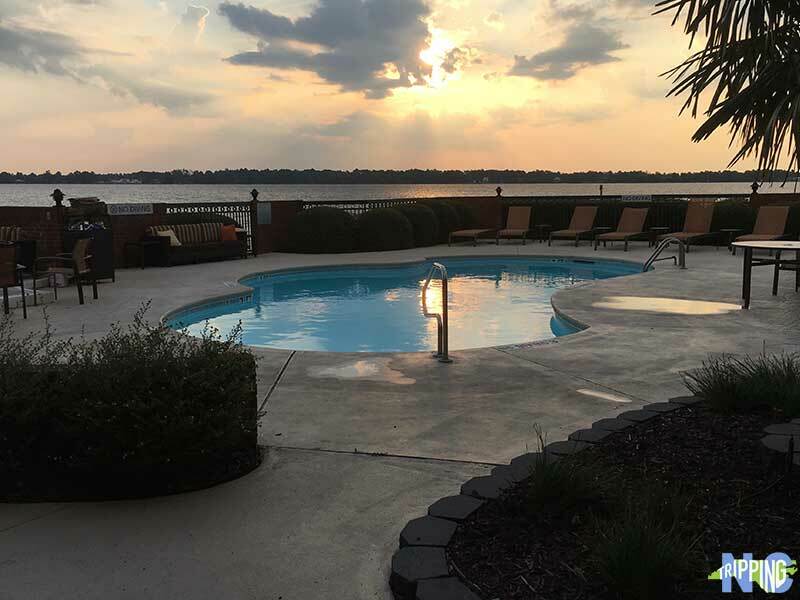 Either way, I think you should stay by the water or in one of New Bern’s hotels or cozy BnBs for relaxation and access to the city’s most beautiful views. Fun Fact: New Bern gets its name from the capital city of Switzerland. 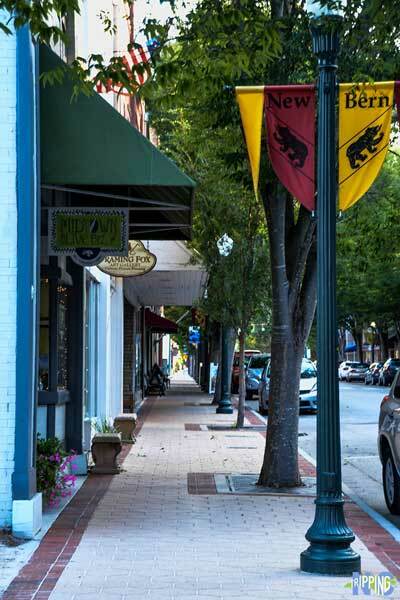 Even more fun fact: Bern means bear and the people of New Bern love showing off their “Bear Town” pride. 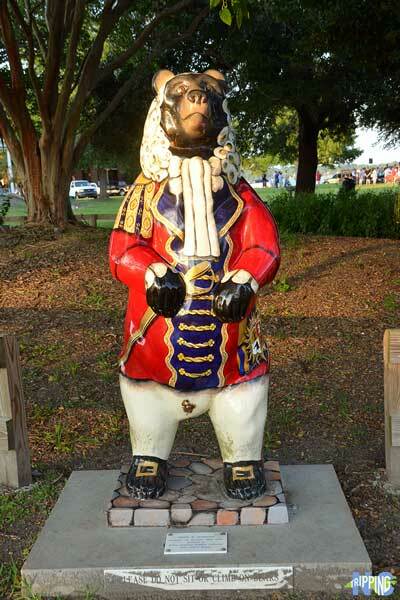 There are over 60 New Bern bear statues and I challenge you to go find each and every one of them. Unlike the Swiss city’s wild bears, these statues depict professionally trained bears who work for a living, holding positions such as lawyer, doctor, and real estate agent. We’re going to be covering these bear statues in more detail very soon so stay posted! Does your town do anything similar to this? 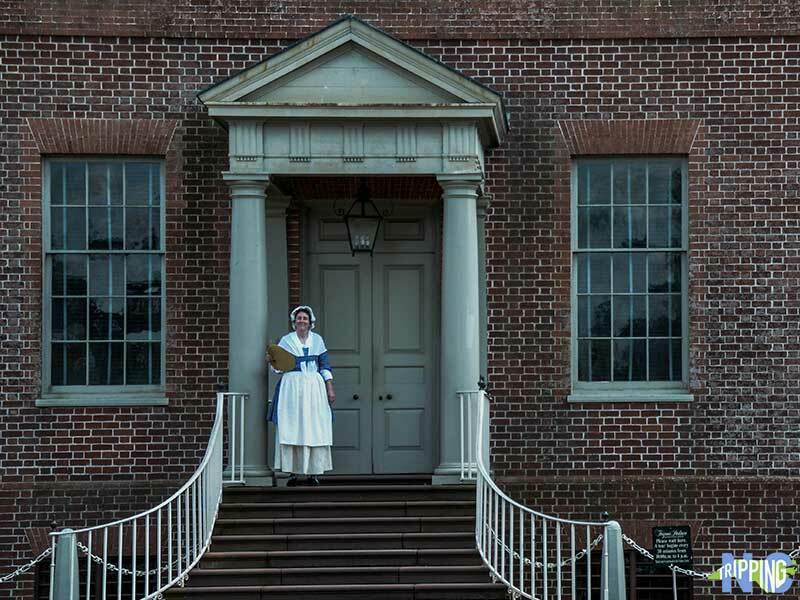 New Bern is North Carolina’s second oldest town (after Bath) and home to the first permanent capital at Tryon Palace—be sure to emphasize “permanent,” or else you’ll get flogged or punished in some other time-accurate way. There are many more famous historical sites in New Bern, including some beautiful churches, the first fire station, and the birthplace of Pepsi. There’s actually a store on Middle Street where you can have a fountain soda and imagine its medicinal power running through your body. It’s such a one-of-a-kind spot that we even included it in our collection of unique things to do in North Carolina. Bill Hand wrote the helpful Walking Guide to New Bern in case you’d like to learn as you stroll around this awesome city. With all this history and bear hunting, a person has to eat when hanging out in New Bern. Eat breakfast at Baker’s Kitchen and don’t even think about avoiding their spectacular Dutch Potatoes. Persimmons Waterfront Restaurant is the first place many people will point you to for a great meal with a view. MJ’s Raw Bar & Grille has colorful decor to go along with a delicious menu. We also opted for the Stingray Cafe, which is a bit more low-key but has a menu that doesn’t mess around. Beer Army has a huge craft beer menu but also some of the best burgers I’ve ever eaten. I’m serious. Our North Carolina food section also covers spots beyond New Bern, if you’re going to be sticking around the state for a while. New Bern’s slow-paced downtown is easily walkable. I recommend getting an early start because people will be out visiting the town’s interesting buildings and locally owned businesses. There might not be any beaches here (see “Places Near New Bern”) but the Waterfront at Union Point Park is a wonderful spot to catch the sunrise and watch boats as they pass by. You can spend as much time as you want there, sitting on a bench or walking along the wooden boardwalk. It’s a great place to just slow down and take it easy for a while. Personally, I can’t wait to get back and do just that. One bonus way to enjoy Downtown New Bern is to be there during the awesome MERCI on Middle, a great charity event that we were fortunate enough to attend. 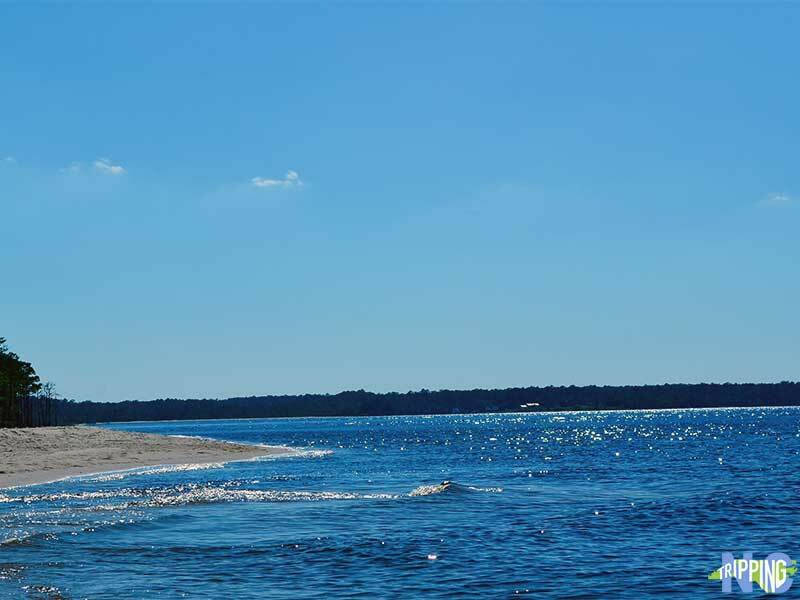 There’s tons of watery fun nearby and the closest beach to New Bern would be Atlantic Beach in Carteret County. That’ll get you into North Carolina’s Crystal Coast, where you can explore 85 miles of beautiful coastline. For a mix of hiking and beaches, Croatan National Forest is about an hour away from New Bern and full of fun. It’s even one of our favorite places for fall hiking! You can also island hop by taking the Cedar Island ferry to Ocracoke, Hatteras, and other barrier islands. New Bern is a great jumping off point to many awesome places to visit in North Carolina along the coast. So while we keep our eyes out for homes for sale in New Bern, we’d love to know what you think. Have you ever visited this little slice of paradise? If not, when are you planning to go? Slot it into your next North Carolina vacation and you can’t go wrong. Special thanks to the New Bern-Craven County Convention & Visitors Center for setting us up for an awesome weekend. All opinions within this article are our own. A version of this post originally appeared on our sister site Travel Through Life. This entry was posted in Travel and tagged Craven County, New Bern, Small Towns, The Coast. We love New Bern. Our most recent visit was during the Christmas holiday. .we were there 4 times last year. The flotilla and Marine Corp band’s performance were worth standing in the cold. 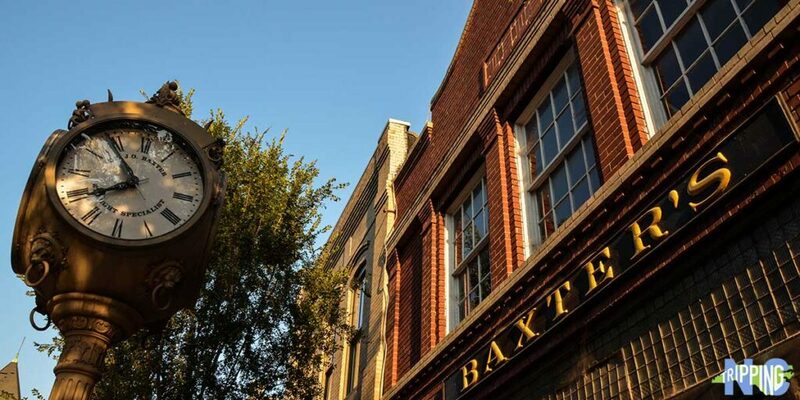 A small town experience at its best…the atmosphere, history, food…most of all…the people. Sounds like you had a fun time, Barbara. Thanks for sharing! New Bern is a wonderful place any time of year, but especially when it’s festive. Thanks for stopping by and commenting.